Posts slider is light weight touch supported, responsive posts content slider plugin.Manage your posts to show in slider with custom categories, tags,authors e.t.c. Use pre-designed layouts to save your time.Simple and easy to use no coding skills required, Carousel + Single view slider . Select what taxonomies to include in carousel (categories, tags, author e.t.c.). Say goodbye to the endless options, bloated messes and confusing interfaces. Posts Slider is different by design because it is focused on efficiency, usability and reliability. It is created in a way that molds simplicity and functionality into a powerful yet usable slider engine. Posts Slider make you stand out with half the effort. 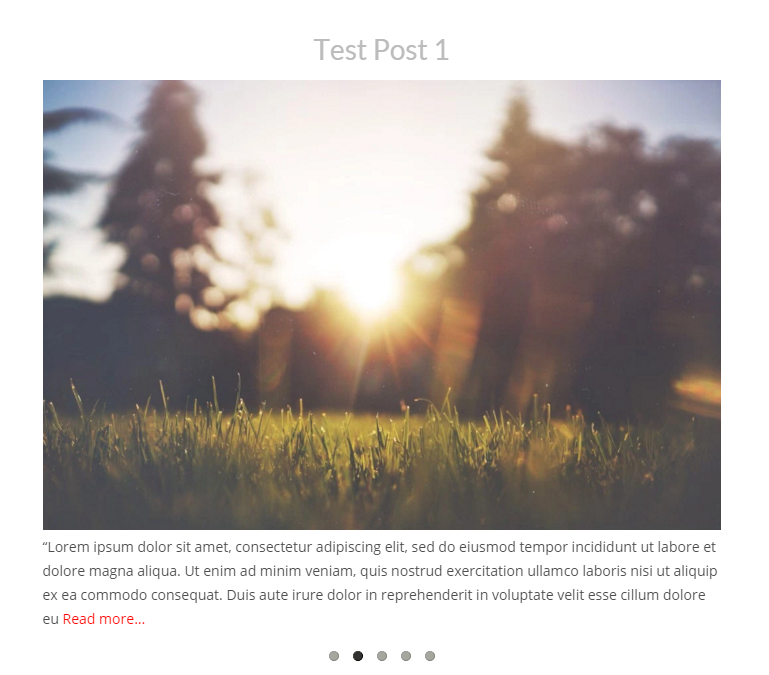 Posts Slider comes with built in carousel and layouts. Layouts helps you add different looking posts sliders which attracts visitors and enhance website's usability. Posts Slider lets you do so much more with so much less. Posts Slider plugin puts the reigns back in your hands by giving you endless flexibility, scalability and performance. With a no-frills approach to the WordPress slider creation process, Posts Slider plugin automatically fetch and add posts to your slider. You can even build your next top quality, responsive WordPress Posts slider in 60 seconds or less. Posts Slider plugin can be displayed in sidebar or footer via widgets and are highly customizable as they are developer friendly posts slider plugin is powered by CSS3 transitions which provide amazing performance. Completely responsive slider works flawless on all devices. Posts Slider is responsive and is specifically built for All devices.